Herman was born in McVeytown, PA., on Oct. 9, 1922. On April 2nd 2019, we gave a final salute to Herman, who served in World War II under General Patton as a tank commander. He was part of “Patton’s Ghosts”. The majority of his working life he built screen enclosures. Towards the end of his career he owned his own screen enclosure company in Miami, FL. He is survived by his wife, Elaine and six children: David Harshbarger, Margate, Fl., Susan Delano (Ed), Miami, Fl., George Harshbarger, McVeytown, Pa., Owen Pritchard (Diane), Lake City, Lee Pritchard (Chrissy), Lake City, Barry Pritchard (Tina), Norwalk, Conn. Ten grandchidldren loved him: Monica Davis (Kent), Texas, Matthew Harshbarger, Michelle Gehring (Chris), Montgomery, Ala., Haley & Ryan Delano, Miami, Fl., Stephanie Raia (Anthony), Texas, Amy Pritchard, Norwalk, Conn., Zachary, Charlie (Mary) and Cody Pritchard, all of Lake City. Herman loved his 7 great-grandchildren and they dearly loved Pop. 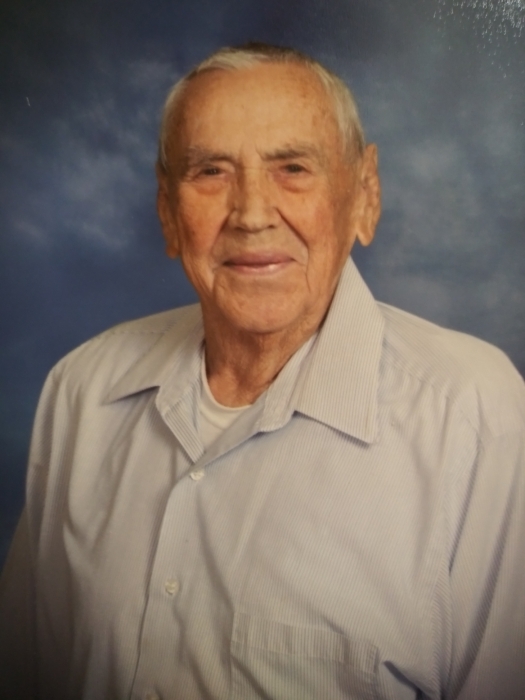 Herman attended Pine Grove Baptist Church and he loved his church family. A memorial service will be held on Thursday, April 11, 2019 at 11:00 AM at Pine Grove Baptist Church with Rev. Ron Thompson, pastor, officiating. In lieu of flowers donations may be made to Haven Suwannee Valley Hospice Care Center at 6037 W US Hwy 90, Lake City, FL 32055.